We’ve been beating this drum for a couple of weeks now, and there’s a reason for it – we’re trying to make people understand just how dire the situation is with the ITEP program and Louisiana’s downward-spiraling economic development problems. Three industrial plants in East Baton Rouge Parish announced closings just in the last week. Capital projects in the state are down 72 percent. Louisiana has the third highest unemployment rate in the nation, and that’s AFTER 55,000 more people have left the state than have moved in in the past two years. This is a state which to begin with has needed a whole lot more work done bringing in business, and is now abandoning the economic development field altogether. And the situation is worst in Baton Rouge, which has become Ground Zero with respect to the Left’s attempts to savage and pillage the area’s largest private employer ExxonMobil. A seminal moment in that fight came last night, when the East Baton Rouge Parish School Board voted down an application for a tax abatement the company had sought in order to attract a large capital investment from its corporate headquarters. The East Baton Rouge Parish School Board on Thursday voted just before midnight Thursday to reject two controversial requests for industrial tax breaks from the biggest taxpayer in the parish. The 5-4 vote marked a rare defeat for ExxonMobil, which has received hundreds of such tax exemptions via the decades-old Industrial Tax Exemption Program, or ITEP, and a big victory for critics of the program, including the faith-based group Together Baton Rouge and school employee groups, including the two teacher unions. “This is a new day for a new type of economic development in Louisiana,” an excited Dianne Hanley, a leader of Together Baton Rouge, said afterward. Yeah, right. The type of economic development that consists of moving vans and padlocks on gates. Remember Dianne Hanley’s name, because she’s who you’ll want to talk to when ExxonMobil starts laying off employees in a few years. To give a thorough rundown on specifically what ExxonMobil was looking for would drag our readers fairly deeply into the weeds, but essentially what it came down to was that ExxonMobil was looking for property tax abatements under the ITEP (Industrial Tax Exemption Program) to offset capital expenditures it made in 2017. Except those expenditures were made under calculations reached based on the prior ITEP rules before, in 2016, Gov. John Bel Edwards decided it would be a good idea to give local governments a say in how ITEP applications were processed. ExxonMobil was advised to wait until the locals in Baton Rouge put their rules in place on ITEP before presenting an application, and that’s what they did for a $67 million investment in the company’s oil refinery and polyolefins plant in East Baton Rouge Parish. That $67 million investment, were the ITEP application successful, would have generated a $6.4 million tax abatement over the next 10 years. ExxonMobil estimates that over that period of time they’d be paying $21.2 million in increased property taxes over what they paid in 2017 for those two facilities – which was $11.5 million. So what the school board did was to conduct a smash-and-grab operation for a few hundred thousand dollars a year against the largest employer and payer of property taxes in the parish who has billions of dollars in investment capital it’s currently deciding where to spend. But the mentality which came out in last night’s seven-hour marathon meeting – in which ExxonMobil was told by school board member Evelyn Ware-Jackson that she doesn’t like “old” projects and wants new stuff to vote on – gave a pretty good signal to ExxonMobil that their continued presence in East Baton Rouge Parish isn’t appreciated. Which is what you get when the school system in East Baton Rouge, which spends more per student than almost every private school in the parish and generates the 55th best results out of 72 school districts in the state, is running a $30 million deficit due in part to runaway costs and runaway students – enrollment is down precipitously as the market tries to kill a catastrophically underperforming system which has stolen money from taxpayers and the future from its students for decades. As families with children move out of East Baton Rouge, the school system becomes increasingly rapacious, and so you get decisions like this made out of desperation. Let’s remember that ExxonMobil wants to spend $20 billion on facility upgrades at its installations along the Gulf Coast, and so far none of that money is budgeted for Louisiana. How much do you think ExxonMobil is likely going to invest now that they’ve essentially become victims of detrimental reliance on things East Baton Rouge Parish’s political leadership has told them? Once bitten, twice shy, as the saying goes. And there’s a trajectory here which must be understood – when ExxonMobil spends that $20 billion on facilities in Texas or Mississippi or New Mexico rather than its plants in Louisiana, those facilities are now updated with state-of-the-art technology and therefore more efficient and more profitable than the ones here, and they’re also likely going to have more capacity. Which means they’ll need their facilities in Louisiana less. And that means they’ll be reducing employment in Louisiana, and eventually, they’ll be shuttering their facilities here. As we’ve noted in prior posts, ExxonMobil’s facilities in Baton Rouge are like a little economy in themselves, and they’re competing with other ExxonMobil facilities for capital and resources. How they compete is by showing the company it can make more money by making things here than elsewhere – and if ITEP becomes worthless, they’re going to lose that competition. Which is where we are. 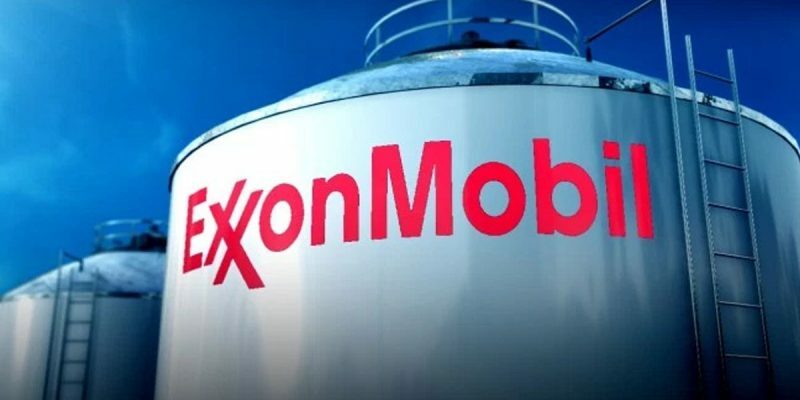 Just with respect to ExxonMobil – let’s not forget that all the rest of the world’s major corporations are also watching and when they see what Baton Rouge just did to its largest employer, how do you think they’re going to react when they make their own decisions about where to invest? The vote broke down mostly – but not totally – along party lines. Voting for the exemption were Republican board members Mike Gaudet, Jill Dyason, Connie Bernard and Mark Bellue. Voting against it were Democrats Evelyn Ware-Jackson, Tramelle Howard, Dawn Collins, and Dadrius Lanus. And Republican David Tatman. Tatman was the swing vote, and he went with Together Baton Rouge over the largest employer in the parish. If that doesn’t signal the end of his political career, much less rub out any fantasies he may have had of running for mayor-president in East Baton Rouge Parish as a Republican in 2020, then nothing much can be salvaged in this parish politically at all. Count us as being on the record we would rather vote for Arthur “Silky Slim” Reed or Gary Chambers for mayor-president rather than David Tatman in 2020. Those guys might be catastrophic for this city, but at least they’ve never pretended to be anything other than left-wing clowns. Can’t say that for the man who sold out Baton Rouge’s economic future on a swing vote. But let’s make sure we keep in mind the big picture here, which is that it was John Bel Edwards who created the rolling train wreck of ITEP fights currently playing out across the state. Before Edwards came along, companies would negotiate ITEP deals with Louisiana Economic Development, and then the Board of Commerce and Industry would provide oversight on those applications. That process worked pretty well – it produced some $150 billion in commitments for capital investments in industrial facilities in the state and touched off an industrial boom which turned the Baton Rouge and Lake Charles markets into nationally-competitive growth economies. That’s slowing down, because as those construction projects are completed fewer projects are in the pipeline to replace them – so while the facilities being built are employing people to make things, you don’t get anywhere near as many jobs as the construction of those facilities generated. And as we said above, there’s been a 72 percent drop in capital projects in Louisiana since Edwards changed the ITEP process by executive order to bring local governments in to have a seat at the table. Essentially what he’s done is to put economic development, which is one of the hardest and most complex functions of state government, in the hands of entry-level politicians on school boards which can’t even produce high school graduates capable of doing basic math. It’s no surprise at all that economic development is at a standstill. Do you think Texas and Tennessee and Florida would count on the Evelyn Ware-Jacksons and David Tatmans of the world to make deals worth tens and hundreds of millions of dollars with multinational corporations with billions to invest? A tip: no, they wouldn’t. Which is why they’re beating us to death economically and taking jobs and citizens away by the busload. This is a problem that can be fixed from the top down. Get a new governor to stop the bleeding, and Ware-Jackson and Tatman stop being such a threat to our state’s economy.